When Molly Abel first started physical therapy in the Spring of 2013 she was worried she’d never be able to run again due to her sharp right hip/groin pain. In addition, as a nursing student she needed to be able to be mobile and get to stations quickly. A thorough evaluation determined much of Molly’s pain was coming from poor pelvic positioning, hip weakness, and body mechanics. Education, hard work on her part, a video running evaluation, and comprehensive, hands-on manual therapy allowed Molly to return to pain-free running and function. Molly stated at the time, “I am now optimistic about getting into even better health than before”. Molly returned to therapy this past Fall as a direct access patient at OSI Physical Therapy. Despite the fact I no longer worked at the same clinic she asked for me by name. She no longer complained about the right hip/groin pain, but this time she was having pain in both her ankles with running. Another detailed evaluation, including more video running analysis, determined than her issue was with poor ankle stability/balance and running form. Within three visits Molly was back to running nearly pain-free. Now Molly is being seen for a work-related back injury, and once again is seeing me to work in tandem to come up with the best treatment plan for her to return to full, pain-free function. One of the APTA (American Physical Therapy Association) 2020 visions for the profession is for PT to be the “practitioner of choice, placing PT-patient relationships on par with the other provider-patient relationships”. To me this means developing a lifelong relationship with our patients, where they tell their friends/family who “their” PT is when asked what they should do for their pain. I welcome your questions and feedback at aobright@osipt.com. 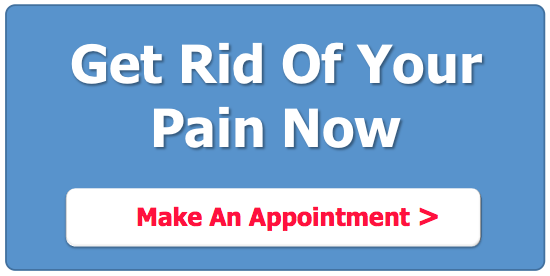 I also invite you to make an appointment if you’re experiencing pain. Our services offer relief and treatment for a wide variety of things here at OSI Physical Therapy.